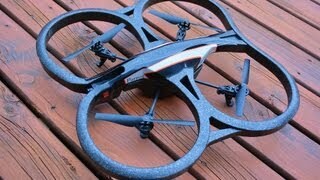 The Parrot AR.Drone 2.0 is fun to fly and entertaining to use. 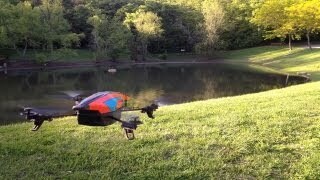 The AR.Drone 2.0 can capture decent images and HD video. The drone's mobile app controls are easy to use, and the drone is easy to fly, even for beginners. Battery life is short, even if you purchase the $370 Power Edition that comes with extra batteries. 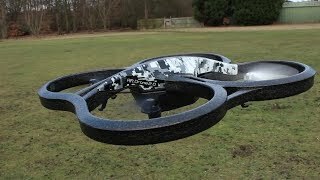 The AR.Drone 2.0's lightweight body can be easily damaged. The mobile app can be glitchy. 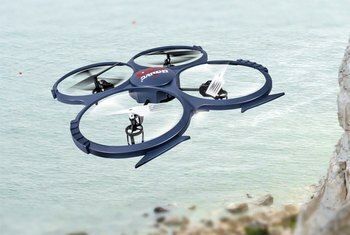 Parrot’s 2.0 version took the company’s line of AR.Drones and moved them beyond the realm of toys. 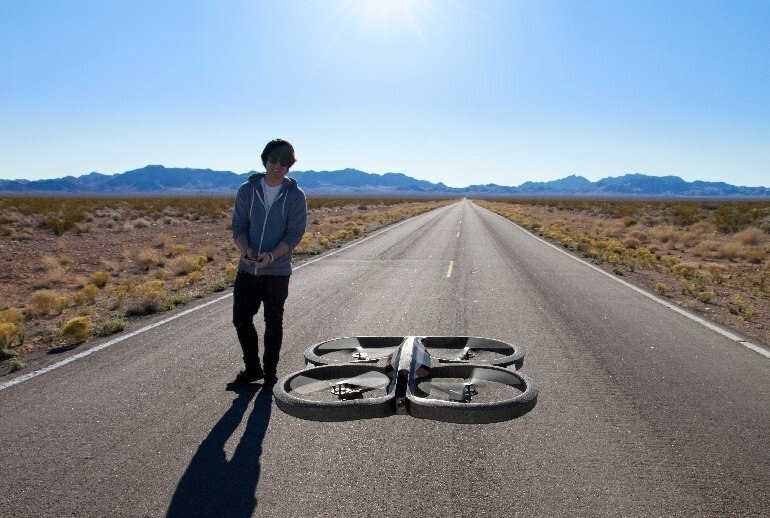 Where previous versions were fun flying gadgets, the AR.Drone 2.0 was the first to capture quality photos and video. 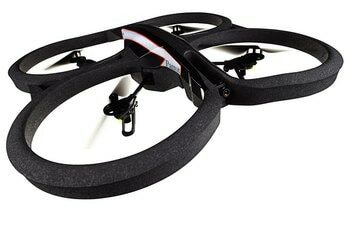 It’s a lightweight quadricopter, thanks to its plastic foam body, with four plastic rotors. It features two cameras: a down-facing one and a forward-facing one that can record in 720p HD. The AR.Drone 2.0 is controlled with an Android or iOS device--it does not include its own controller. 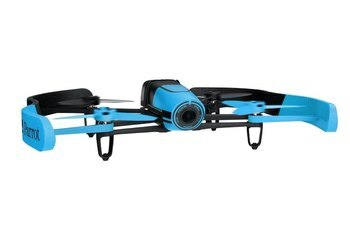 All video and photos captured are saved to the mobile device, as the AR.Drone 2.0 does not include any onboard storage. On the face of it, they're just flying things, but when you use the Parrot AR Drone, you get the distinct impression that its motives are a bit sinister, and that given a chance it might well take over the world. Well, for 35 minutes at least, until its battery runs flat. If you want a satisfying flying toy that can take photos and (silent) videos and makes you feel like a gadget genius for controlling it with your mobile device, the Parrot AR.Drone 2.0 is a dream toy. Besides the obvious risks of annoying workers and the police, or flying too close to power lines, flying was relatively straight-forward. But be advised, there's nothing subtle about it. 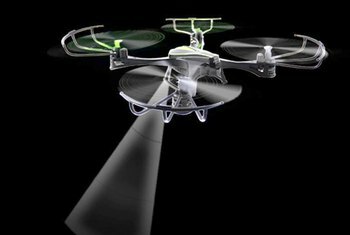 There are four brushless motors spinning rotors at a high rate of speed; it buzzes like a swarm of hornets. The barrel-roll is the Drone 2.0’s party piece but you better act fast if you want to do it as it requires a more than 30 percent battery charge to throw a flip. 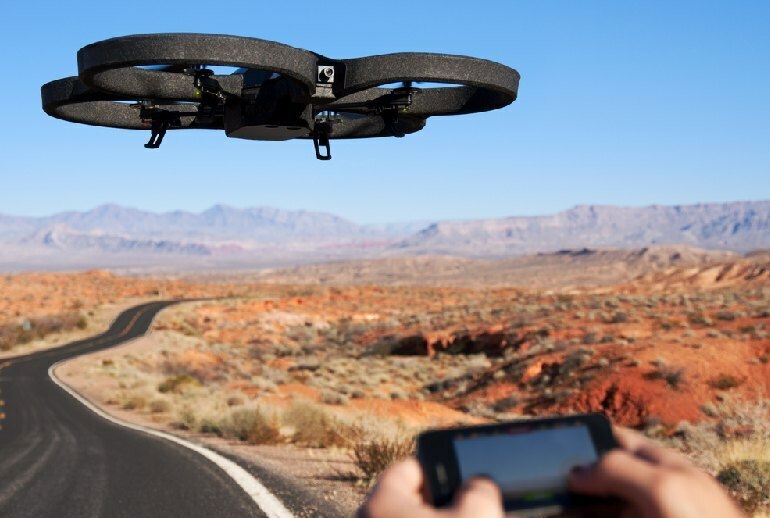 The quality of images and video recorded aren't going to win any awards, but the idea of recording your flight videos quickly becomes addictive. The first minute is magical—with a single button press, your own little drone hops a meter into the air. And just sits there. Waiting. Next, you fly that fucker right into a wall. I've owned both this and a DJI Phantom for a while, and the Parrot is fun, but can be hard tom control in wind. 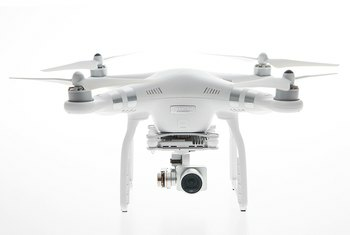 It's also less convenient to control it via the iOS app than the dedicated remote in the DJI. But even so, I really like it and it takes quite a beating (and is easily repaired). This was the hot drone a couple years back, but there are tons of better options now. And although controlling a drone via phone or tablet sounds cool, the reality is it's *much* better to have a physical controller. I like the Parrot's durability, but this fly-boy is past its prime.